This was the third year of my partnership with the Henry Sheldon Museum of Vermont History and the Hannaford Career Center, Addison County's vocational/technical high school. We bring local historic boats in the Advanced Engineering class and students measure and draw the boats (lines-taking and lofting), then we build replicas. Later the students create detailed drawings of the boats using CAD. This is part of an ongoing project of mine documenting the historic small boat traditions of the Lake Champlain region. 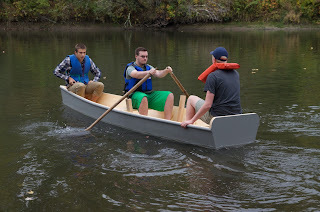 One of our historic boats was an odd duck. 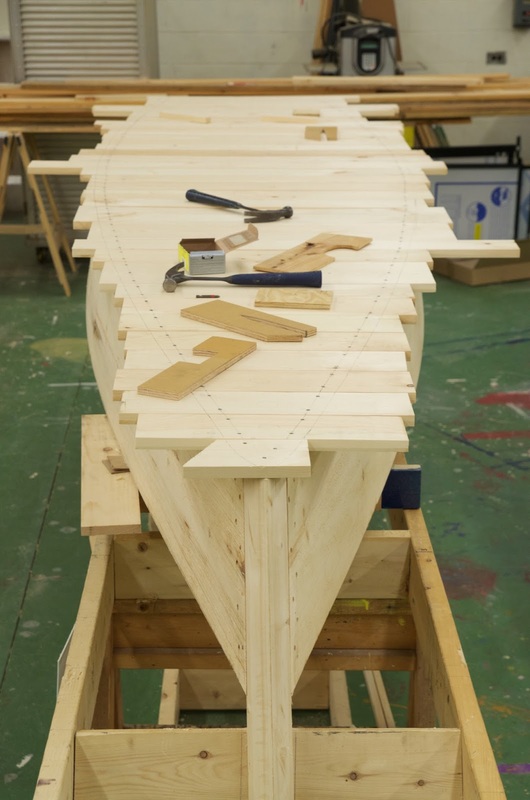 Note the raised oarlocks on posts and the thwarts are mounted at the gunwale. 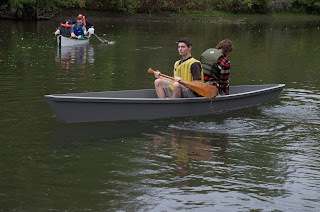 I borrowed this boat from the Intervale, a Burlington, Vermont non-profit. 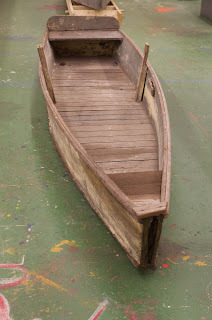 They are housed in the former Calkins Farm on the banks of the Winooski River and this boat was found in the farm barn. No doubt farmer-built for fishing in the river. 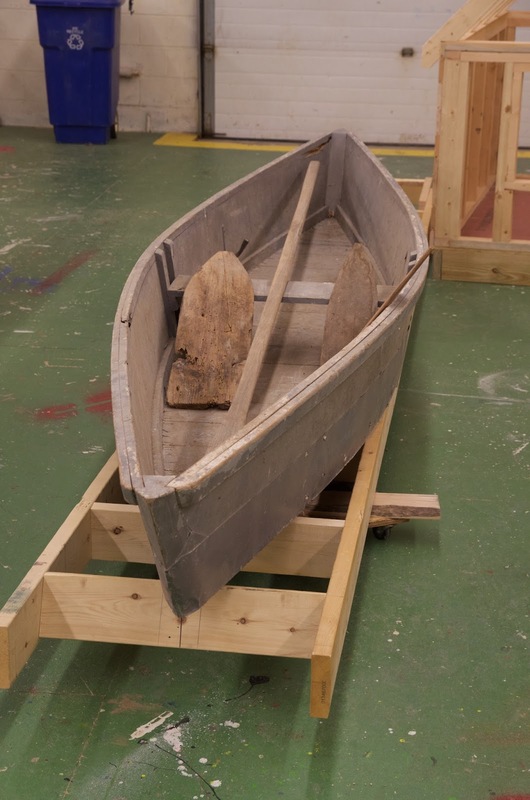 This trapping boat was built by Panton dairy farmer Gerald Hatch in the 1950s or 60s. Hatch and his sons trapped muskrats seasonally on Dead Creek, which ran behind their farm. Hatch built half-a-dozen trapping boats in his life, all of which still survive. 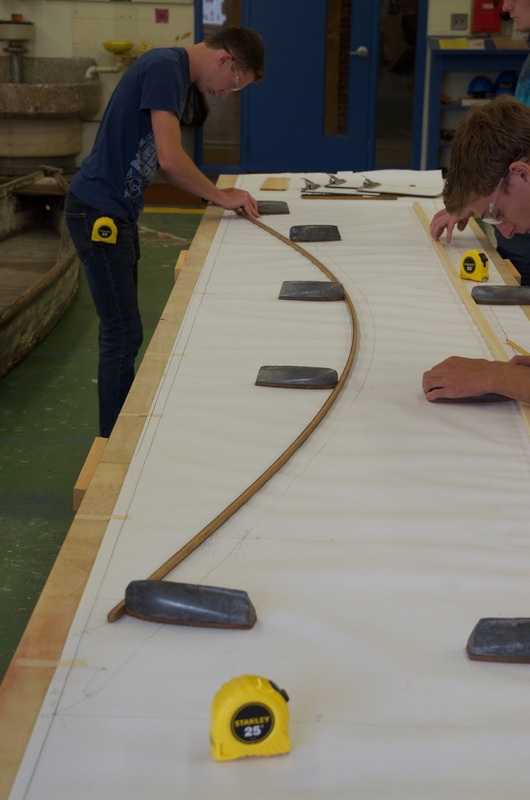 Laying down the lines full-size of the double-ended trapping boat. 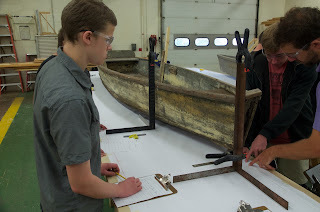 Measuring the Calkins boat. 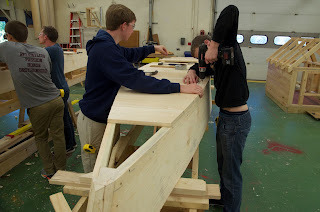 I have the students record the dimensions right on the lofting. 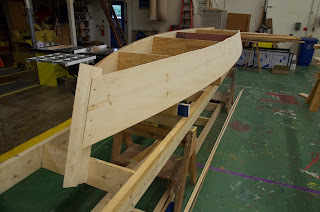 From the lofting we derive the mold shapes we use to build the boats. 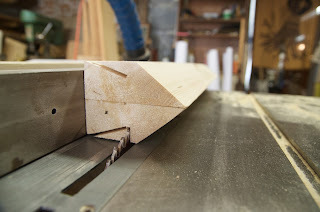 Cutting the stem rabbet on the table saw. 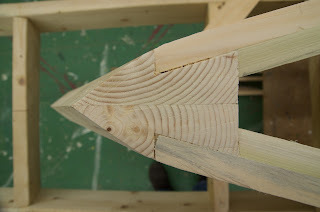 We derived the stem shape from the lofting. The Calkins boat planked up. 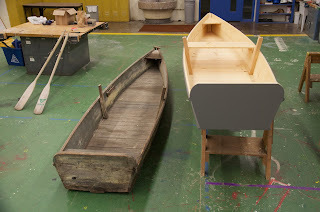 Both boats are planked with a single wide pine plank on each side. A view of the Calkins boat from the stern. The fit of the Hatch trapping boat at the stem. Note the plank ends lie on the same line. Typically the plank edges would be at right angles to the face. I believe Hatch pulled his planking together and then planed the two plank edges together to even them up. I can't think of any other reason for this otherwise unconventional detail. 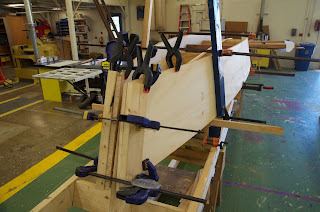 The planking of the Calkins boat pulled together and carefully clamped, waiting to slip the stem in. 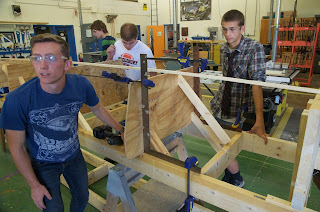 Bending the trapping boat planks using hot water. 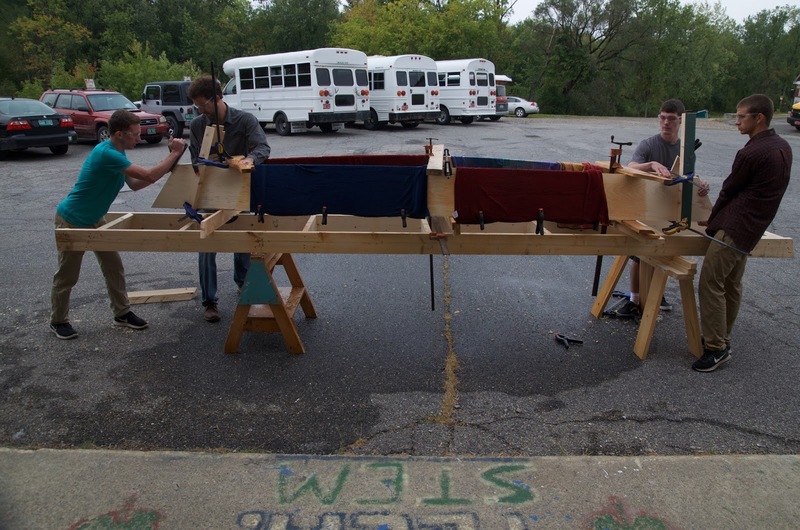 We draped towels on the planking to help hold the heat. 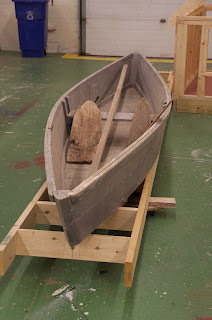 Hatch built his boats using just a single center mold. 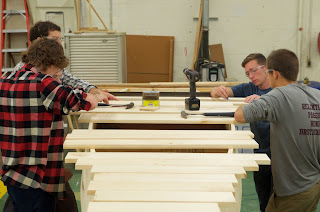 The student at left is planing the edges of the planks to even them up. 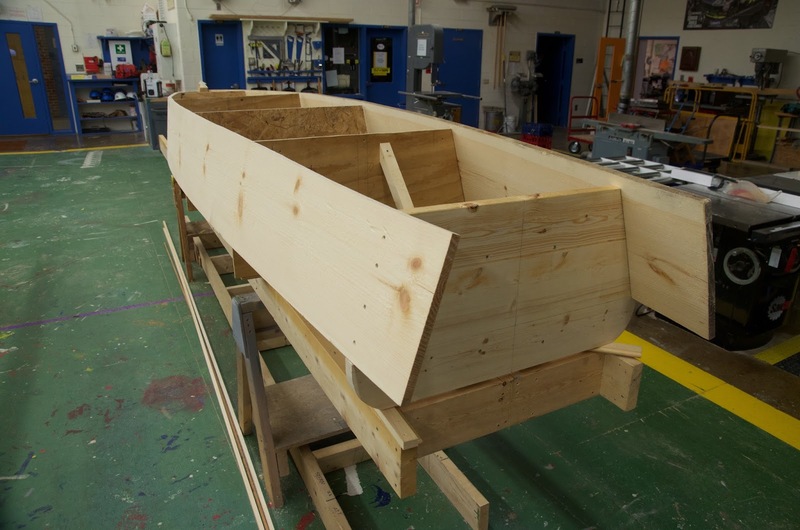 Planking the bottom of the trapping boat. 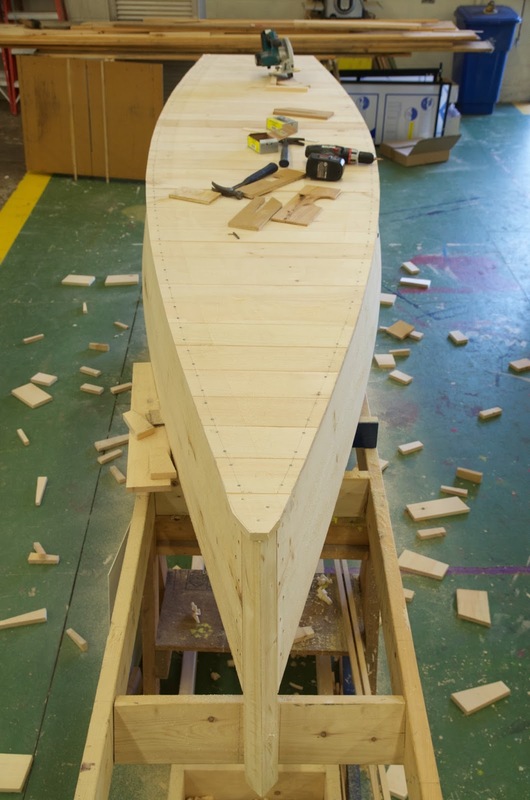 Both boats were cross-planked, which lets the builder get away from finding long lengths of high quality lumber. 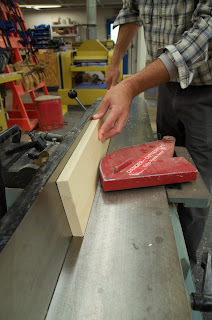 We used the jointer to put on a caulking bevel of 7.5 degrees. 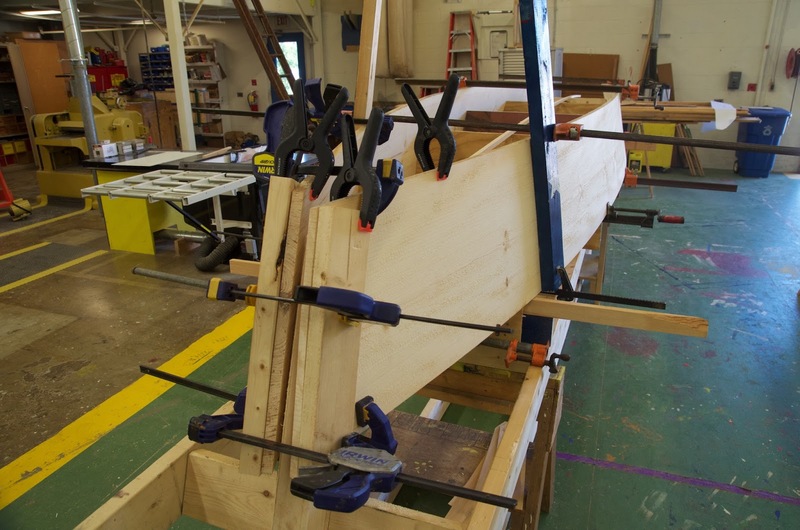 The Calkins boat had no chine log, so the nails had to hit the 3/4" side planking. 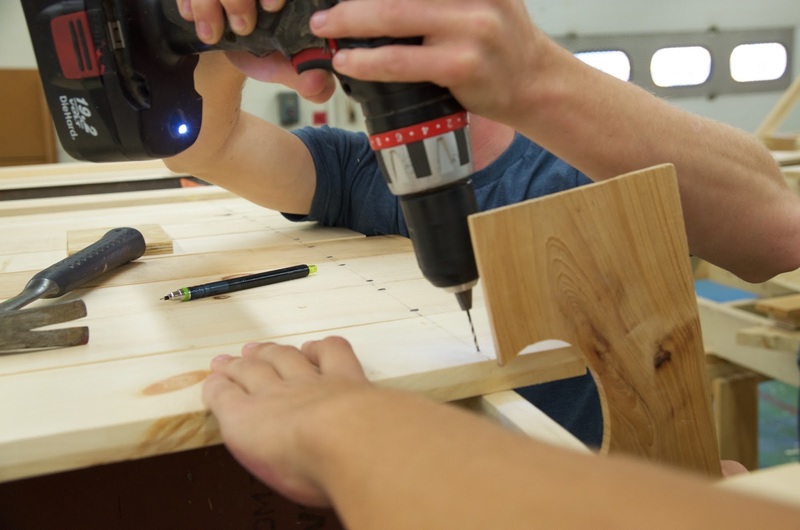 I had the students carefully drill a pilot hole using a gauge so the angles were consistent with the side planks. 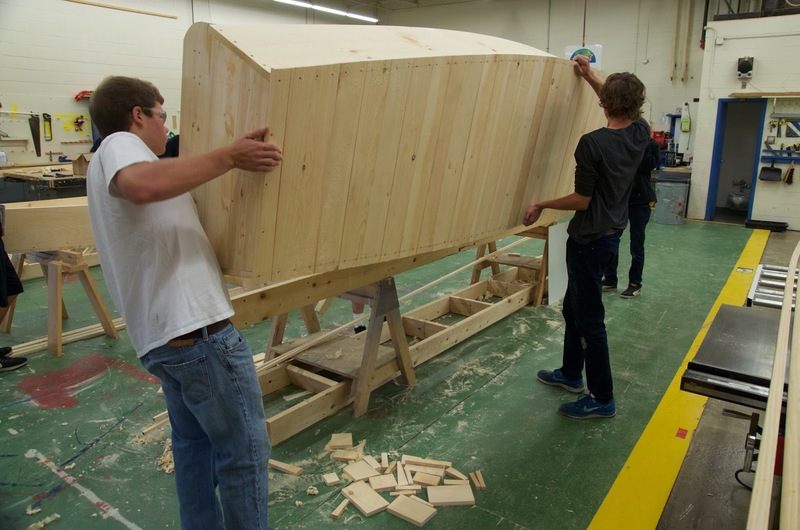 The Calkins boat planked up. The oddest feature of the Calkins boat was the side planking extended 1/2" past the sides. 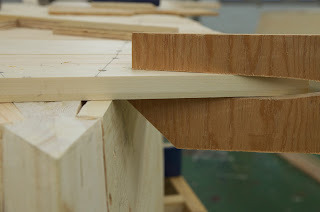 My guess is the builder was afraid of the nails near the edge splitting the bottom planks, so a little extra material would lend some added strength. We used this gauge after the boat was planked up to mark a line for us to cut this edge. 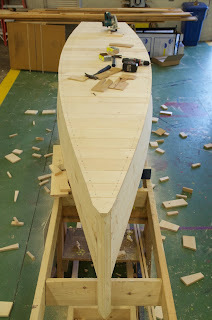 The Calkins boat bottom finished. 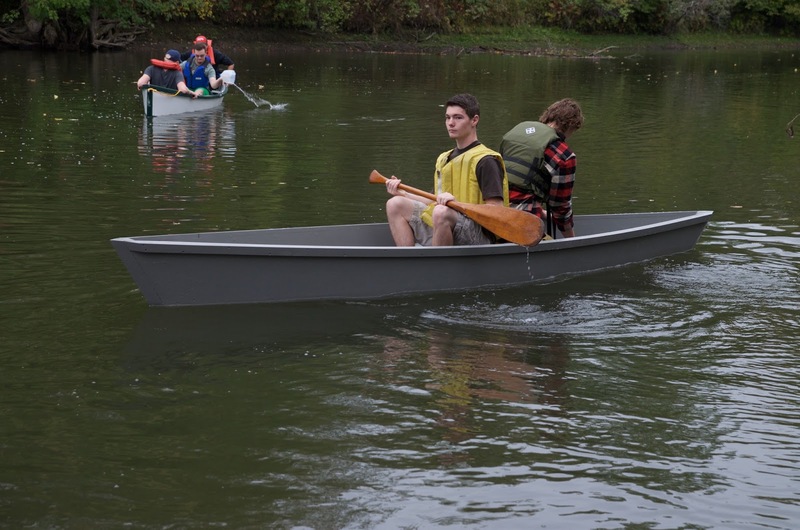 ...as does the Calkins boat. 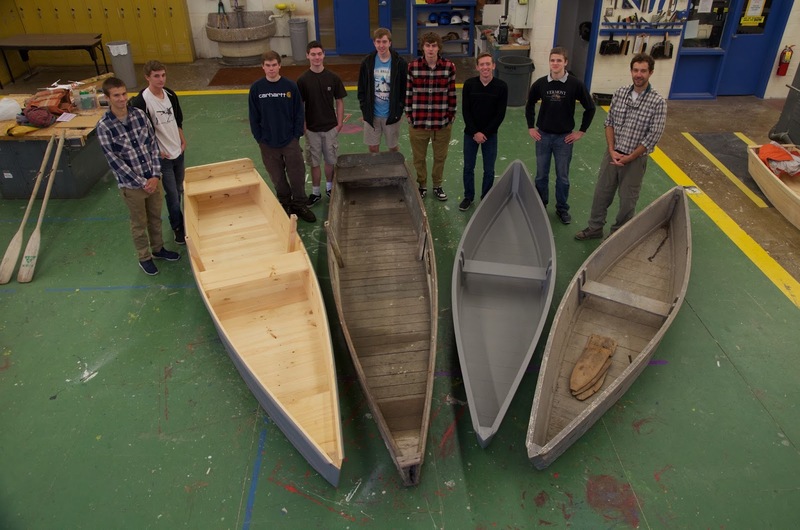 Students, original boats and the replicas. 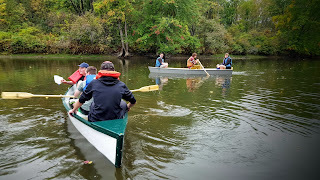 The trapping boat upon launch. 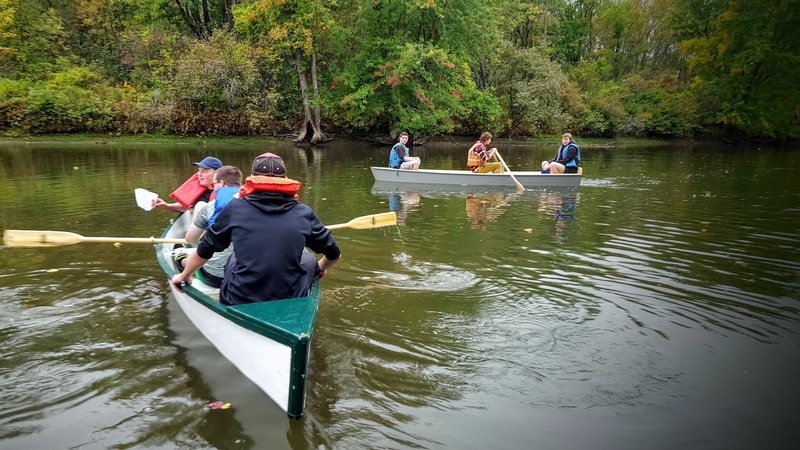 We were joined by a trapping boat built by last year's class. 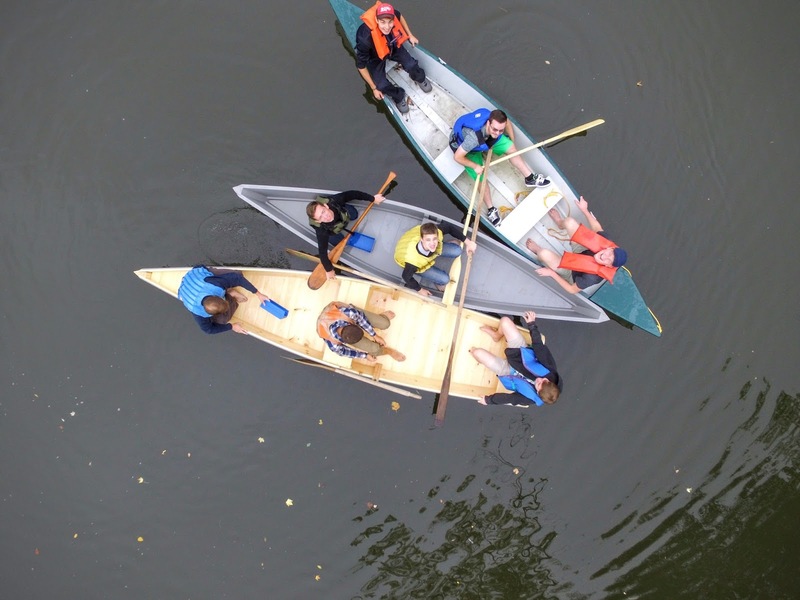 And cool photography from the class' drone. 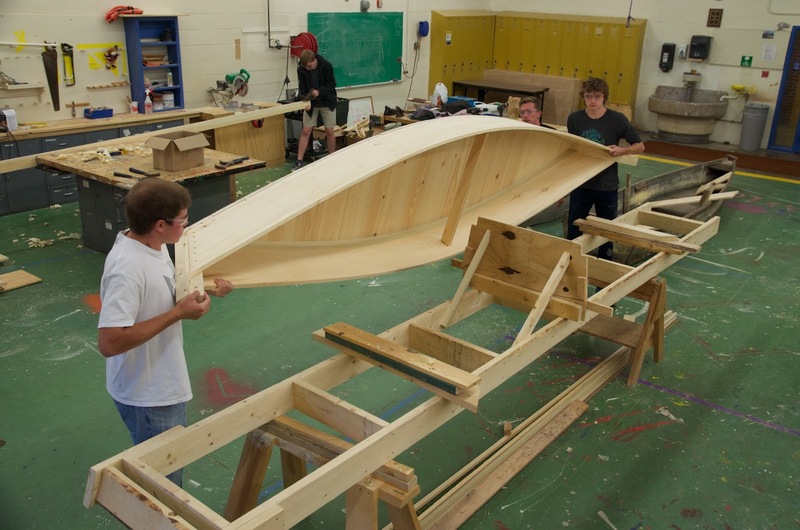 I wish my highschool had had some classes that were as interesting as your boat building classes seem to be. But I guess that learning something useful is not the idea of a Danish high school. 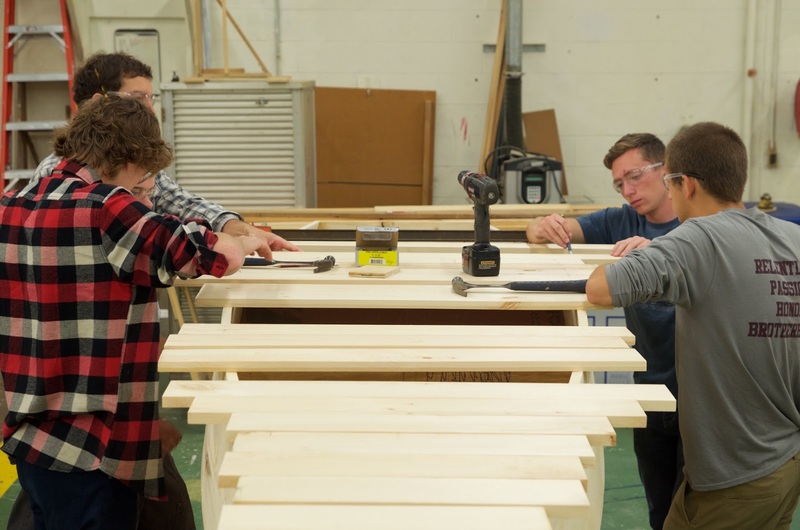 As someone who is used to work with a lot of focus on safety, I am delighted to see all the students wearing eye protection. The schools are very careful about safety for students so we require the eye protection at all times in the shop. Obviously excellent habits to get them used to from the start. Astounding with thanks considerably with regards to expressing the following written text offer. I wanted similar to this valuable. Your content want motivates anybody significantly. At present observe the following Denver Civil Engineering With thanks considerably every last item of with regards to really good information. It's so colorful to travel boats. Boats are excellent and classic.If you visit my site click here pest control Denver .Thanks.